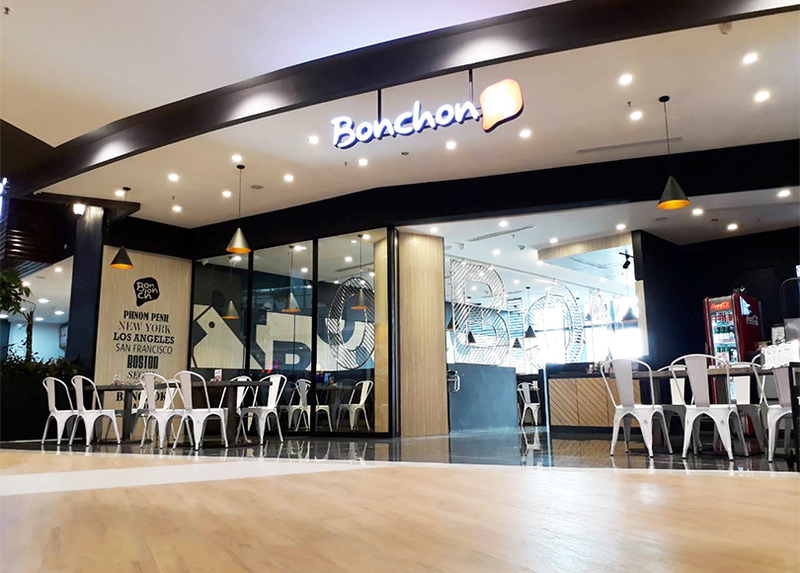 SOHO Diversified Group opens its 13th Bonchon outlet on the 2nd floor of Aeon Mall Sen Sok City. This outlet marks another great milestone for SOHO Diversified Group’s expansion in the F&B business in Cambodia. This outlet emphasizes on a classic New York diner concept with open seating and giant steel Bonchon letters arranged cleverly around its booth seating. The restaurant can seat up to 75 customers including an outdoor garden patio seating.